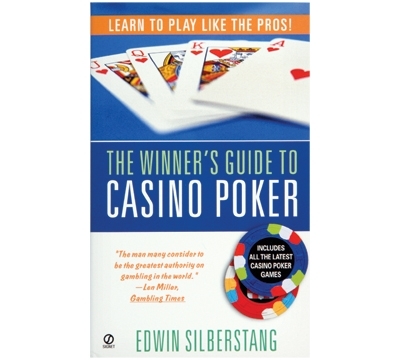 CP50 – Silberstang's "The Winner's Guide to Casino Poker"
This comprehensive poker guide gives you an in-depth analysis of the popular game of poker for the home or casino player. Silberstang uses anecdotes from live play to reveal the strategy and techniques of the world's greatest players. Get an expert's look at representative hands, all the popular casino poker games, betting strategies, the art of bluffing, how to look like a pro and maximize your bankroll. Includes a glossary of poker terms for each game and consists of 310 pages.